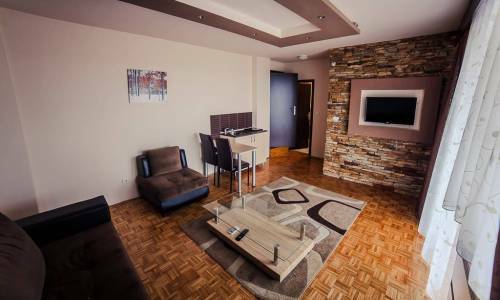 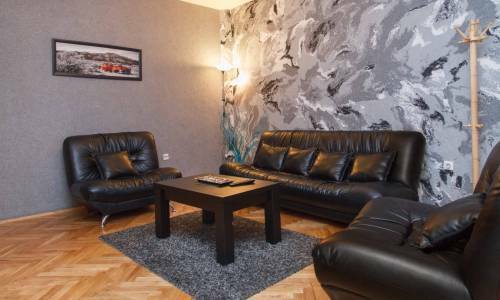 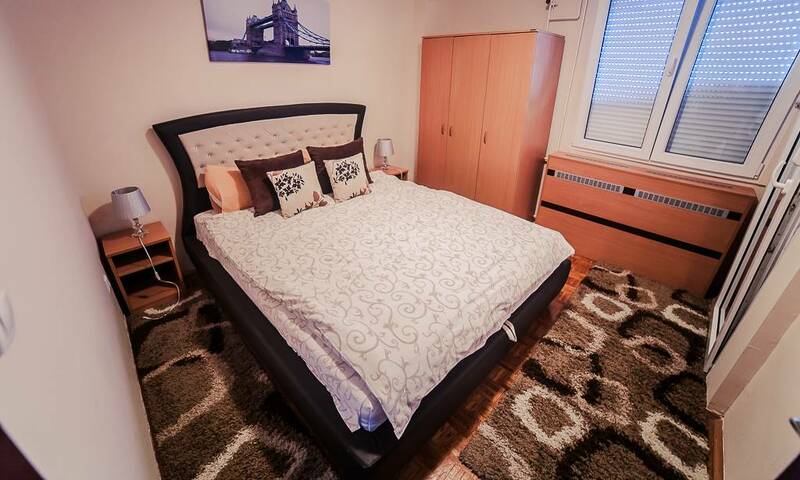 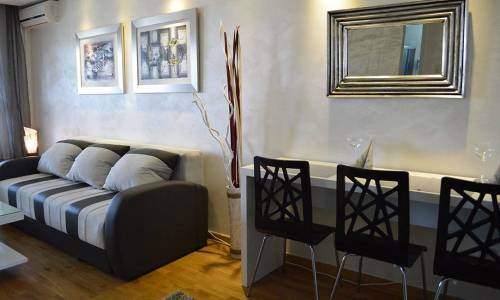 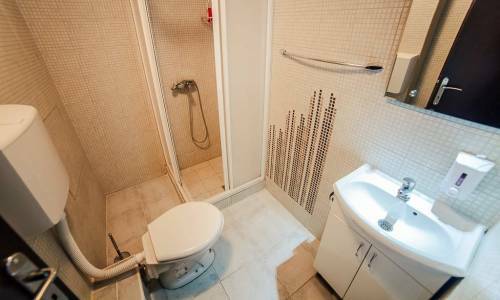 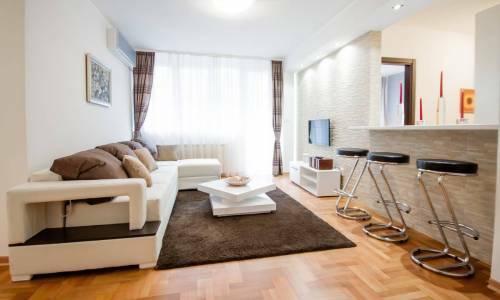 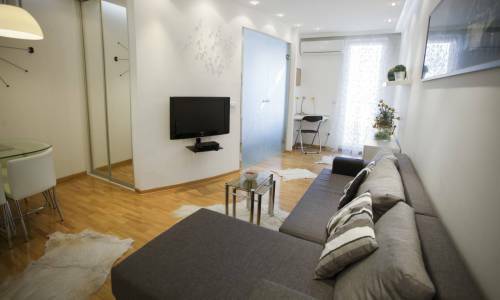 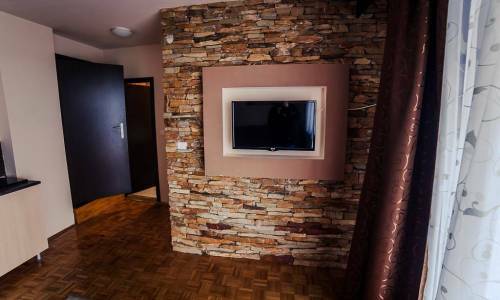 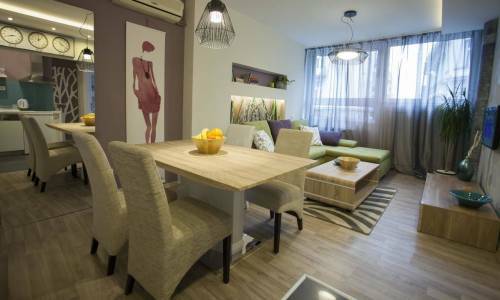 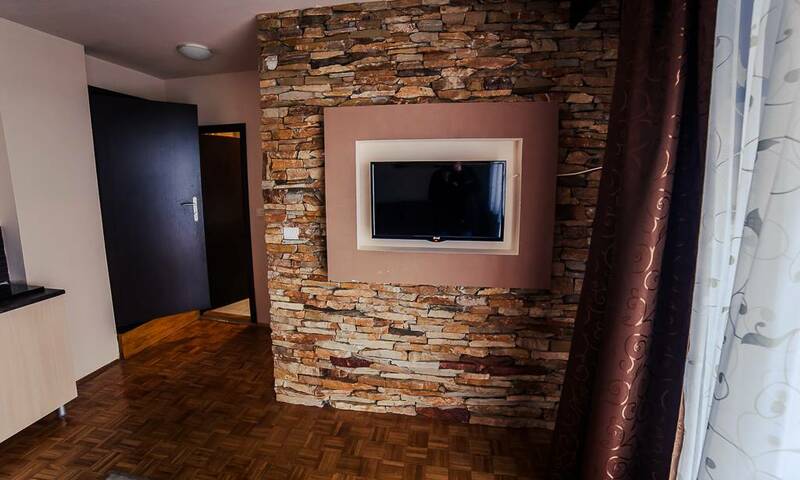 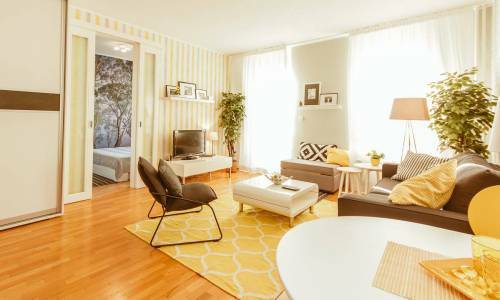 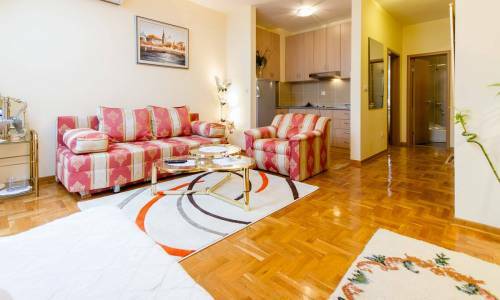 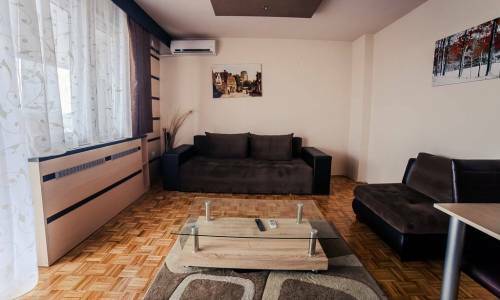 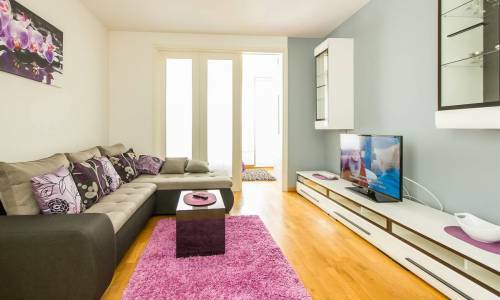 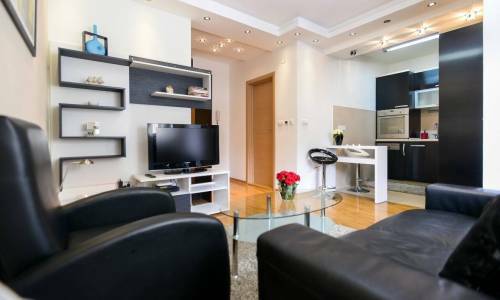 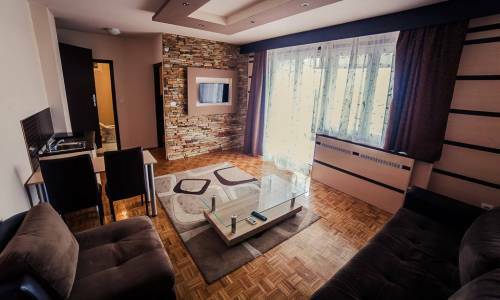 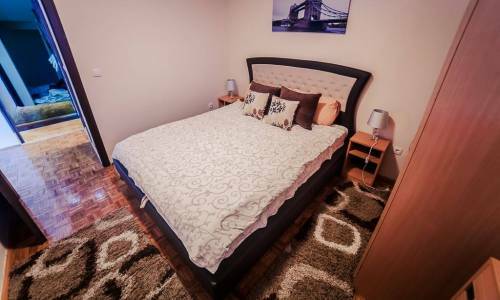 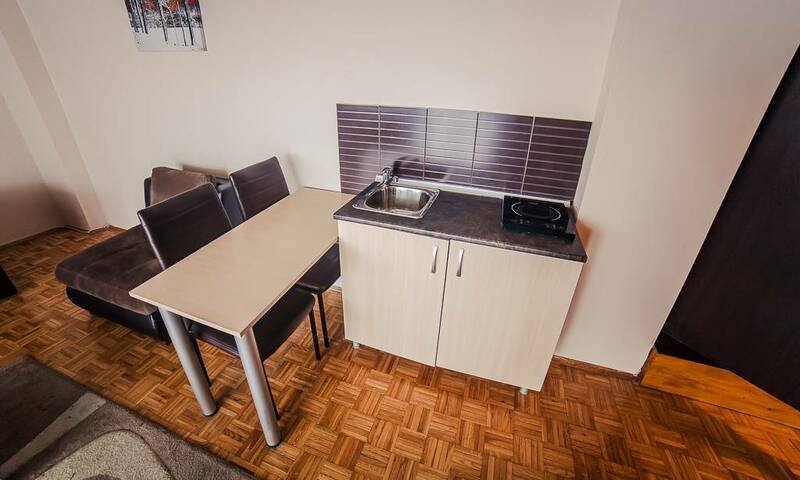 Apartment Beta has two rooms and it's located in the area of Dorćol, and more specifically, in Mike Alasa street, and is suitable for 4 persons. The apartment is surrounded by the Danube quay and sports centre Milan Gale Muškatirović. 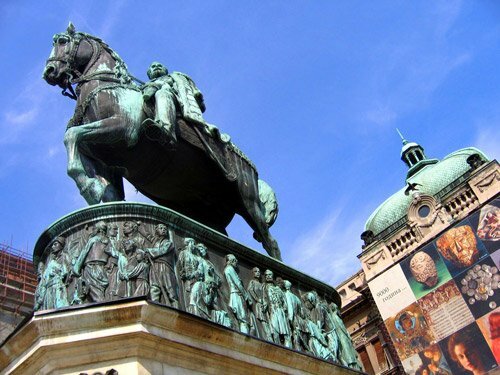 If you want to walk to Knez Mihailova Street, it'll take you around 15 minutes, and for Belgrade Zoo and Kalemegdan Fortress, this time will be twice as shorter. 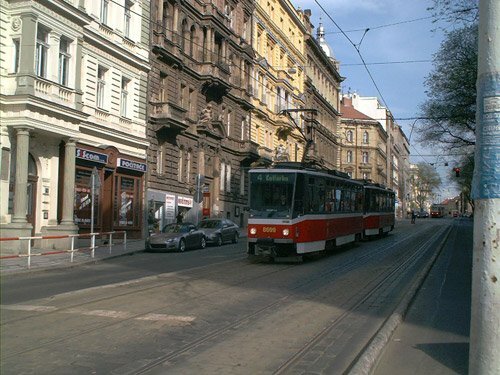 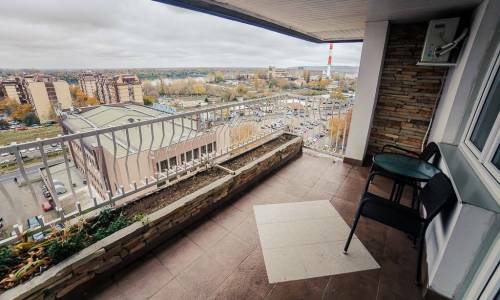 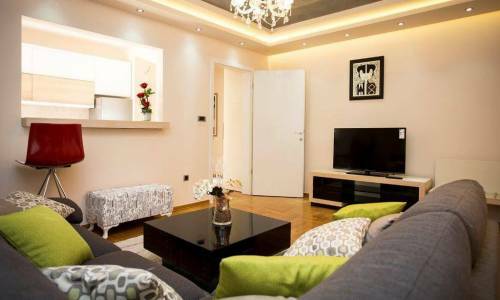 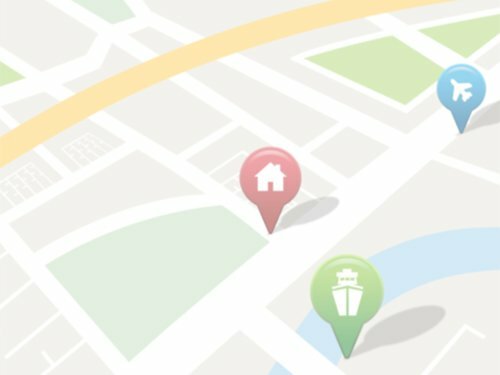 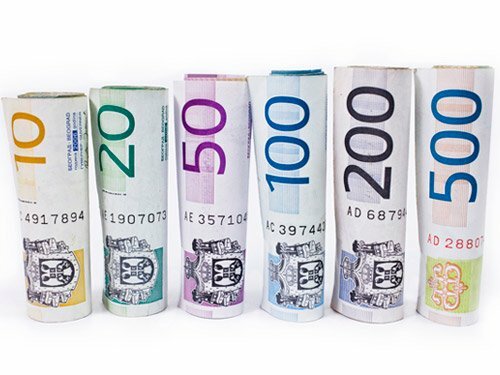 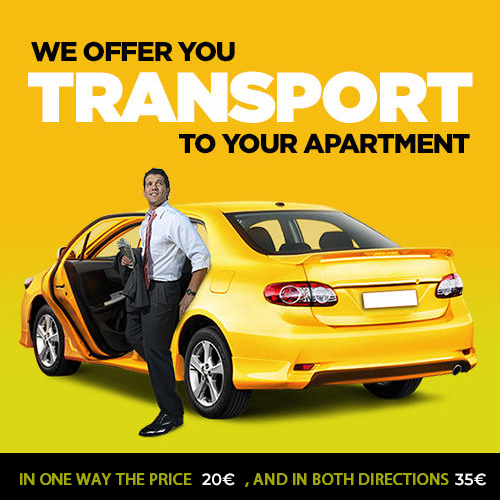 Near the apartment, you will find lots of supermarkets, pharmacy stores, fast food kiosks... 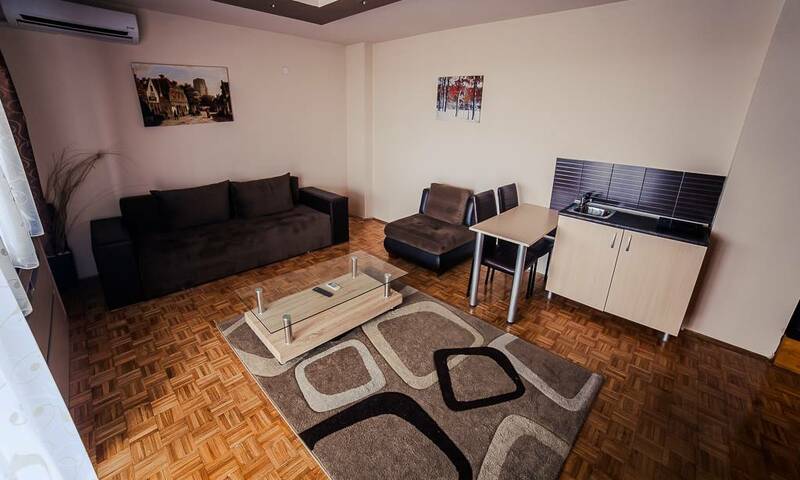 The apartment Beta has two rooms and 45m2. 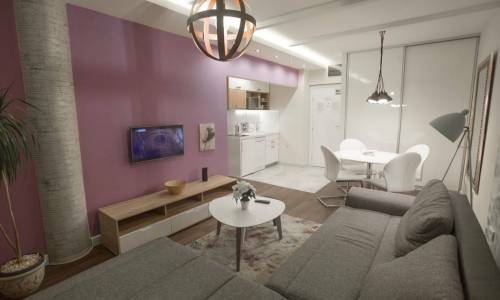 The living room offers an open plan area - the three-seater sofa can be folded out into the bed for two, and the double bed in the bedroom can accommodate 2 persons, so in total, the capacity of the apartment is 4 adults. 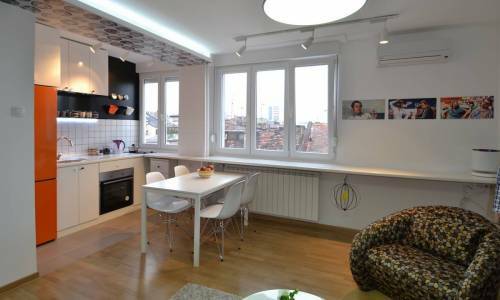 The kitchen is not very large, but quite sufficient for the preparation of basic meals. The bathroom is of standard size, but what Beta boasts is the fantastic, huge terrace overlooking the majestic Danube. 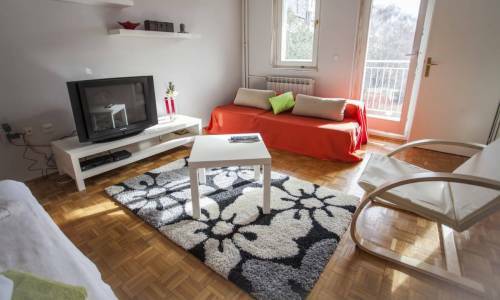 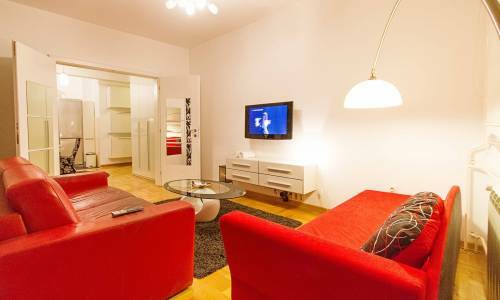 Beta is the apartment for 4 persons with the affordable price of 40 eur/night. 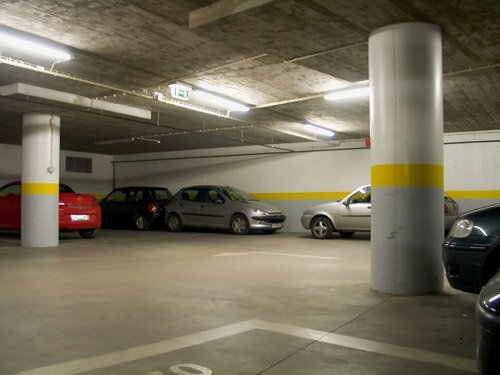 If you're arriving by car, you can park in front of the building, in zone 3 or buy a daily parking ticket for 8 eur.